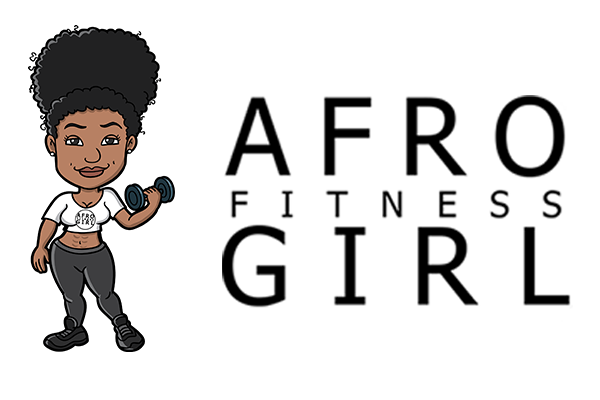 Welcome to the Afrogirlfitness 21 day fitness challenge. Our total body sweat challenge is excellent for burning fat and increasing muscle. We’ve listened to what you want and created a challenge that saves you time and stress by taking the guesswork out of burning fat and building lean muscle. The routines are neither time consuming nor boring and range between 30-50 minutes 5 days a week. The workouts are intense but designed to be suitable for majority of fitness levels. You are encouraged to go at your own pace and to opt for modified versions of an exercise as and when necessary. Remember that we strive for progress not perfection. With each day you continue to push yourself, you’ll see drastic improvements in your body tone, strength, speed, endurance and flexibility. More importantly you’ll feel great about yourself. This challenge is about building functional strength that benefits you everyday. We encourage you to do away with the scale and judge your progress on how your clothes fit. Measure and weigh yourself at the start of day 1, in the morning before you eat or drink anything. Use the table below to record your measurements. Use #theagfplan on social media to share your progress with the community, find motivation and inspire and connect with others who are also doing the challenge. This workout guide is meant for those with a general baseline of fitness and no injuries medical conditions or contraindications to exercise/and or working out strenuously. To reduce the risk of injury, before beginning this or any exercise program, please consult a healthcare provider for appropriate exercise prescription and safety precautions. This program has been built for the general public and is not catered to anyone individual. The exercise instruction and advice presented are in no way intended as a substitute for medical consultation. We advise that you get express approval from your doctor or health care provider before starting this challenging program. Consistency is key! All you have to do is put in your best effort, commit to the daily workouts and use our meal guide to tailor your diet over the next 21 days lets go! It is important to start a workout with a warmup and end with a cool down. You might be eager to dive into your workout, but don’t. Warm-ups help to warm up your cold muscles to prevent injury. A good warm up should last 5-10 minutes and work all your major muscle groups. We have provided you with an example below. Don’t overthink this: Your goal is to elevate your heart rate, put your muscles and joints through their full range of motion to warm them up and make sure everything is functioning properly, and preparing your body to strength train! A cool down can last from 3-10 minutes. The purpose of cooling down after exercising is to allow our heart rate and breathing to gently return to mear resting levels. It also helps avoid feelings of dizziness which can result from blood pooling in the large muscles of the legs after exercise. Cooling down effectively helps to remove waste products (such as lactic acid) from muscles, which can build up during exercise. In short, it helps to relax your muscles in preparation for your next training session. Walking at a brisk pace for 5 to 10 minutes is a great cool down, but this isn’t always ideal especially if you’re training indoors.